Mali Mish - Day 121: Our mini Airstream rally in Huguenot. Last night we met up with an Airstreamer whom we have been friends with online for some time. Casey and his family live just a bit north of here in St. Simon Island, Georgia. 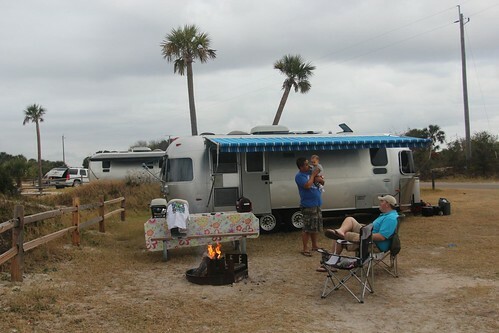 We have been talking about meeting up when we made our way out here and he was able to make it out to Huguenot with us for a couple of nights as he pulled in after dark with his beautifully polished 34 foot Airstream Limited. Casey usually goes camping with his daughter Makay while his wife and their younger daughter stay home. He is still trying to convince her that camping in an Airstream is not considered ‘roughing it’ but she has not completely bought into the idea yet. Makay is a little younger than Ava and a couple years older than Mila. 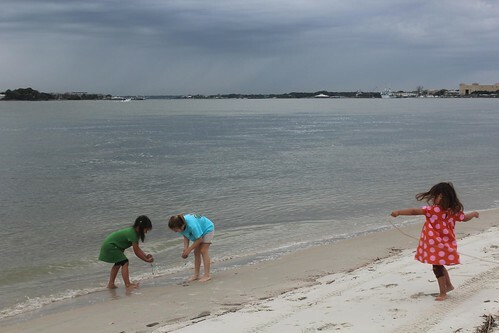 They became friends immediately and spent most of their couple days together in the sand. 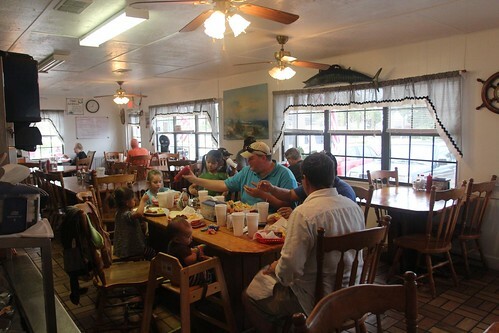 There aren’t a lot of places to eat around Huguenot because almost everything is across the river from us in Jacksonville. There are no bridges for at least 10 miles from us but we did end up finding a little place down the road for lunch that served pretty good sandwiches and burgers. 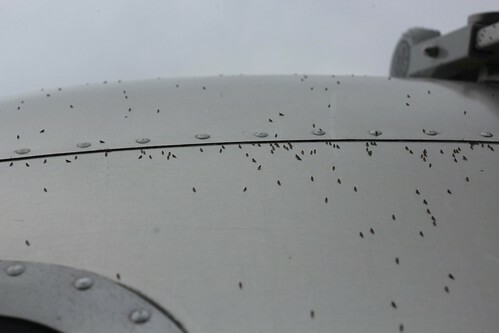 When we got back to the campground, we found thousands of these little bugs all over the Airstream. This is the part of camping by the beach that most people don’t dream about but is more often than not a reality you’d have to deal with. We are going to have to deal with a lot of mosquitoes, sand gnats and whatever the heck these things are in the warm and humid weather we will be facing for the next month or so. 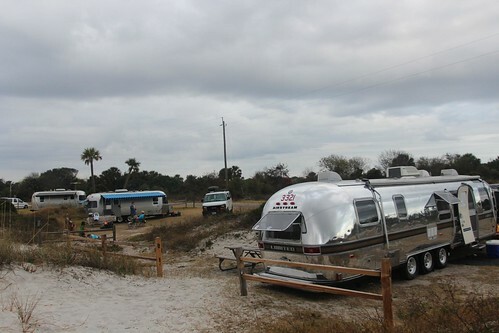 This is a shot of our little mini Airstream rally. It is in order from the biggest to the smallest as well as oldest to newest. Dry camping here has been a pretty good experience for us. Kyle and I both ran our generators so we didn’t have to live without our luxuries. Aside from the bugs and the loud whirl bird training flights, it is a pretty nice place to stay. Especially since the price is right at only $18 a night. Tomorrow we are heading down to St. Augustine for a night before our reservations at Fort Wilderness on the following day. 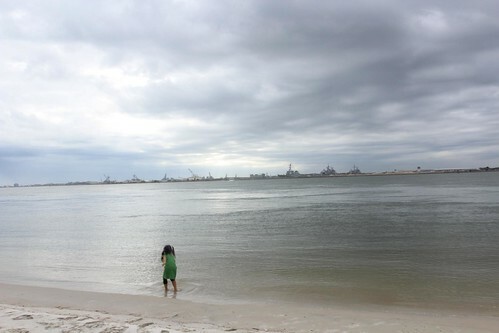 Day 120: Huguenot County Park in Jacksonville. One Response to Day 121: Our mini Airstream rally in Huguenot. Awesome, Casey told me about your mini rally so I had to come check it out! I had a great laugh about your ordering of the 2 (two) Airstreams. Love it.